Get the most out of your potential for health with chiropractic care. 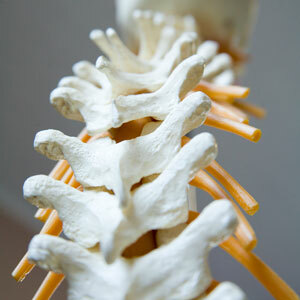 Dr. Payne focuses on the function of your nervous system, alleviating any interference in this all-important system. When it operates at optimal levels, your brain can communicate information to your organs, muscles and tissues so that your body can function at its optimum level. With care, we strive to help you be as active and mobile as possible. The benefits of chiropractic care are numerous. You’ll first likely experience a decrease in your symptoms of pain, numbness, tingling, burning or stiffness. You’ll also see an improvement in organ function, flexibility, joint mobility, range of motion, strength and have a greater ability to complete your daily activities with ease. We’ll start with a thorough evaluation to determine the source of your problems. The initial phase of care involves locating the cause and helping you avoid any triggers that worsen your condition. We’ll then transition you into getting your inflammation under control and decreasing tension in your body. Next, during a strengthening phase, we’ll help you develop an exercise routine to improve your overall function. Activator Methods®. A handheld tool makes changes to your spinal structure and extremities to restore function. Diversified. A hands-on method that manually aligns your structure to release pressure on the nervous system. Flexion-Distraction. A motion activation within a specialized table opens up spaces between your joints, allowing nutrients to move to your discs. Gonstead. Similar to Diversified, this form of manual adjusting will align your spinal segments with a hands-on touch. Thompson. A drop piece built into the table makes your adjustment comfortable and easy for you. Additionally, we may recommend rehabilitation, exercises, ultrasound therapy, mechanical traction tables, cold pack therapy, myofascial release or trigger point therapy as appropriate for your case. As Dr. Payne has worked in an injury clinic for many years, he understands the unique nature of traumatic injuries and which techniques work best to help you overcome them. Events such as car accidents can be severe and distressing. We’ll evaluate you to determine your problem, then treat you conservatively with our many treatment methods. If we feel that you would benefit from another practitioner, we’ll refer you to one of many in our professional network. We’ll help you figure out coverage and can work with third-party insurance companies, attorneys or letters of protection. Work injuries are welcome, though you may be required to see a doctor in your employer’s network. We want to get you back to living your life. Schedule your appointment with our team today! On-site X-ray facilities are available for your convenience.